Since 1980 we have offered river rafting trips on the Upper, Lower and Forks of the Kern. Our company is a family business with sister outfits in Southern Oregon and on the Middle Fork of the Salmon, Idaho. Stay connected by subscribing to our newsletter for special offers, guide updates, and season information. Not your typical Airbnb: Four awesome pads near the Kern River. 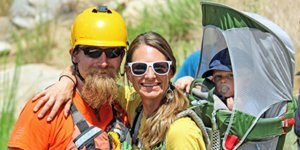 We’re looking to hire additional guides for the 2019 rafting season. With a larger schedule of available trips, we anticipate being busier than usual. We’re a great company to work for, and encourage you to apply today. Send us a message here. Kern River Outfitters is operated under Special Use Permit with the Sequoia National Forest. Kern River Outfitters is an equal opportunity provider, and operates on a non-discriminatory basis.